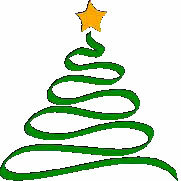 The VFW/Legion joint Christmas party will be held on Saturday, December 15 at 12:00, and lunch will be served at 1:00 PM. The annual pot-luck event will be held at the American Legion Hall in Edmonds. The American Legion and VFW Posts will supply turkey, ham, mashed potatoes, wine, beer, soft drinks, and coffee/ tea. Families attending are asked to bring a dish that will be shared with others. We need side dishes, salads, rolls/bread, and desserts. Additionally, the “cost of admission” will be non-perishable food item(s) and/or unwrapped toys. Members who plan on attending the party are asked to sign up at the post meeting. indicating the number of guests and the class of food item you will bring. Family members and friends are invited to attend the party or by email to commander@vfw8870.org. We all look forward to the fellowship. Please note that the Christmas Party is being held in place of our monthly Post meeting, which would ordinarily take place on the third Wednesday.